Let me tell you about who I am and why you should even consider going in with me on starting a community. I have been roleplay and part of Second Life for five years. I’ve been anywhere from a toddler to an adult. I know what those different age groupings want in a family community. I’m very people and idea orientated. I have the ideas and I’m committed to making this happen. I don’t care about profit I’m in it to put all the things I’ve ever wanted in a community into action. I want to create a community I would love to be part of as a supernatural and family roleplayer. I don’t need money to make it happen even if the few months are a flop I still have money to make sure the maintenance fee is covered. I have the money to jump head first into this today. The concept is to create a family friendly supernatural community. My vision is to create a community where supernatural and normal families can live together in a community with a rich plot in relativity harmony. I have the rough drafts for the plot and backstory. I also have developed my own education system among many other things. I want to share details in world as this is something that has taken a lot of effort and I don’t want to share my ideas to the world. So, does this sound like any idea you’re interested in let me tell you what I need from a co-owner(s). I need someone who is spatial orientated. Someone who is into building and can actually get the community together and running. Someone who has experience in marketing and web design would also be great along with experience in marketing. I’m looking for someone with experience to get this past concept and into an actual community. The most important for me is someone is dependable and trustworthy so I’m not thinking about what is going on the sim when I’m not there. To be fair I’m a very busy person in real life and in second life. I do a lot of roleplay and some of my roleplays are very intense where it takes up time. I need to be able to focus on that stuff when I’m doing it and not have to be worried about what is going on. Cooperation and communication is huge for this to work for me. I’m not looking for someone passively there. I need someone who is engaged with the idea and we can work together to make this happen. I’m looking for a co-owner not just puppet or someone who wants to take the ideas I’ve spent years on and run with the idea. Talk to me today in world. I will be replying on here, but if you want direct contact amberrosekettle resident. Even if I’m not online on that account IM me and I’ll get the email and I’ll get on as soon as possible. Seeking Angel Players for Convergence City. Hello all! I am seeking some players for the Elohim (angel) faction of Convergence city. Convergence is a dark urban sim with modern themes based in the time line of 2024. 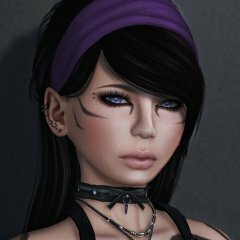 Its a diverse sim that welcomes all kinds of races, however I am seeking to expand the angel faction and trying to encourage more angel players to come join. The Elohim (angels) are not your typical heroes, in fact they could very well be called the enemy, it all depends on perspective. They are an intense sometimes zealot like race, fully committed to their God and reason for existence. In this world, the Elohim race covet humans and the faithful, those who still worship who is the one true god in their eyes. They are probably liked even less than their counterparts the Nephilim (demon) faction. This race has allot of deep history but can be very rewarding to play as they have lots of facets, and many have fallen to vices that would normally be considered sin for any human, which is fun! If your interested, I encourage you to read the racial lore HERE Slurl HERE to Convergence City Apply to play HERE any questions please contact me Seralath Resident, I am acting as present faction lead of the Elohim.